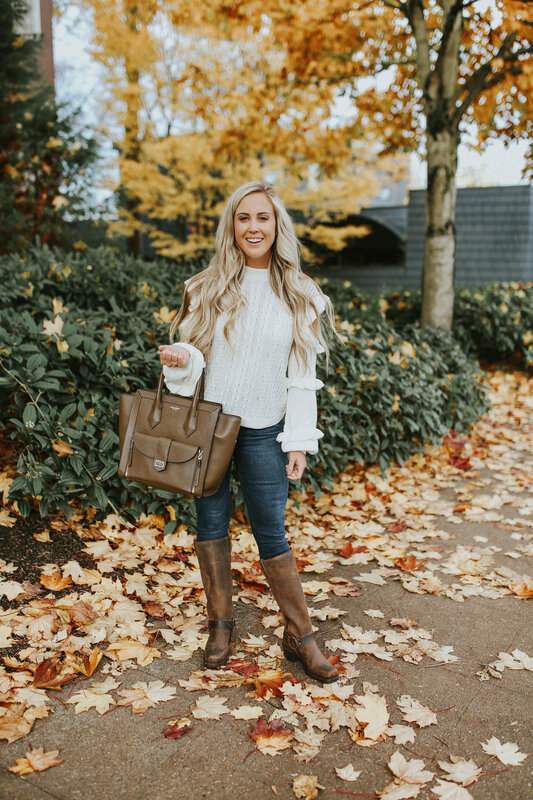 If you're anything like me, your Fall outfit consists of a cozy sweater, a great pair of jeans and a comfy pair of boots. Insert this outfit notched up a bit. 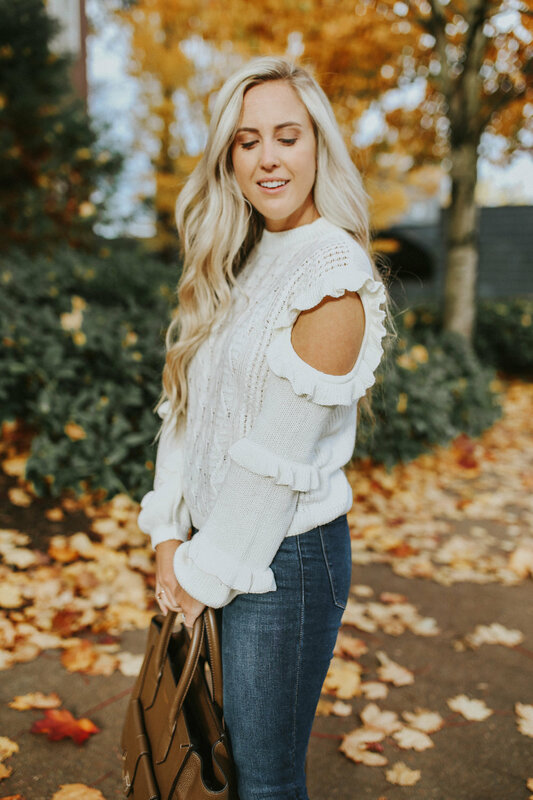 Call me basic, but I basically live in jeans and sweaters for a majority of the year (especially now that I live in Seattle) and am always on the hunt for the cutest ones. This one might just take the trophy this season. It's insanely cozy, has ruffles and is the perfect cut to flatter my petite figure without overwhelming me (praise hands). 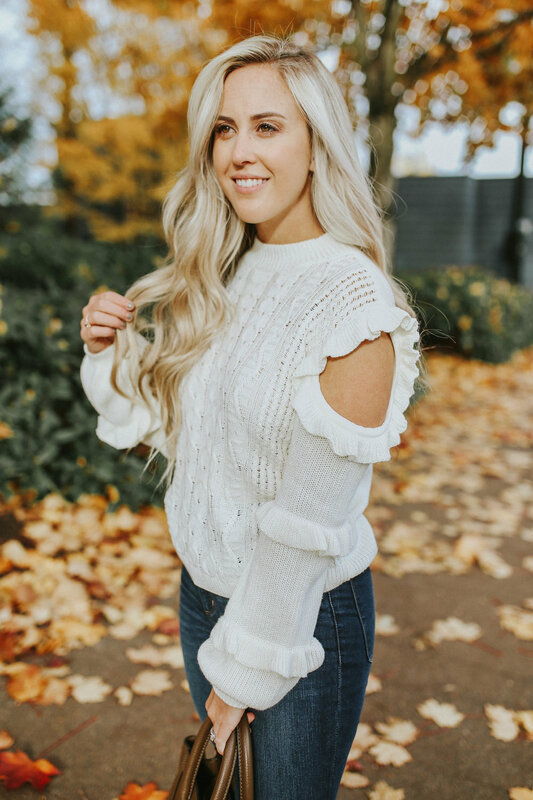 It's currently 40% off and only $36 + it comes in 2 other colors. P.S., if you follow me on Instagram and saw my stories from yesterday, these are the jeans I talked about. 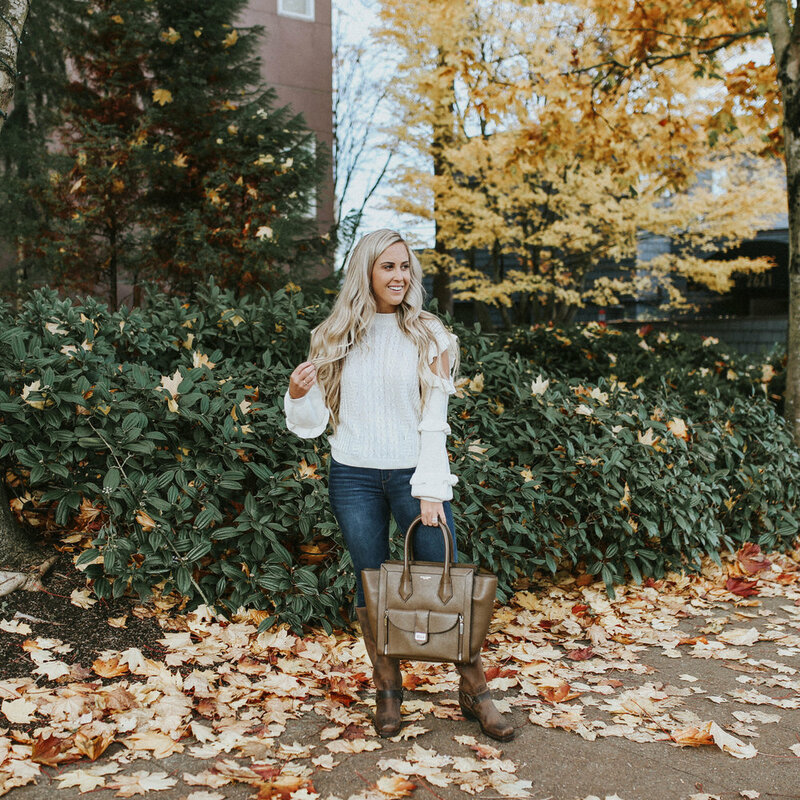 They are the most comfortable and flattering skinny jeans ever and you need them now.